Root Canal is a treatment to save badly infected or damage teeth instead of removing them. It is used to clean the canal of the root of the teeth. It is more painful living with a damage tooth than to actually have a root canal due to the use of anesthetics. You may need a root canal if your teeth have a soft core or dental pulp or the pulp extends from the crown. Since the pulp has nerves, blood vessels, and connective tissue if a tooth is cracked or decayed then bacteria can inter the pulp. If your tooth is left untreated there can be serious damage by causing infection, abscess,pulp death, bone and tooth loss. IF you are experiencing hole in tooth, tooth ache, gum swelling or swelling in the face or neck you should get help. The first step in getting a root canal is to get an X-Ray to observe the damage. A general dentist or Endodontist performs root canals. You are able to get local anesthesia in order to help with the pain caused from the root canal. There is a dental dam placed to keep teeth clean and saliva free. The decay is removed and then the dentist gains access to the pulp where they remove the diseased pulp. After the pulp is removed the root canal is then flushed, cleaned and may be reshaped for future filling. There may be an extension of the root canal being open due to the severity of the damage from the pulp. A root canal procedure wichita ks can have many steps and although it can be a one time visit there may be more. 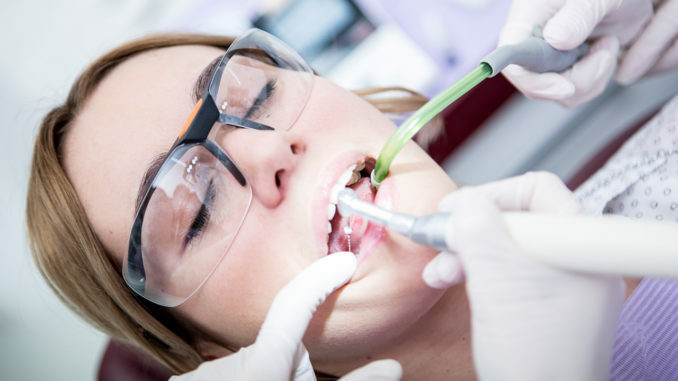 You might even get a temporary filling and crown to allow the infection to be cured and to make sure that no more bacteria or saliva will be able to return to the area. After you return there will be a permanent filling to replace the temporary. The last step is to add a permanent crown that is designed to look like your natural tooth. But you may have other restoration options so it is best to ask your Dentist. There may be a metal post that has to be inserted in order for the crown can fit and stay. YOU have options of the crown you would like to receive and can get the crown to resemble your teeth as closely as possible. There’s also an option for tinting used to add a different shade to the crown. If you are having difficulties with your teeth, then it is best to get treatment as soon as possible. You do not want to cause damage by allowing the infection to spread to other teeth or gums. There are other serious disease than can be caused by leaving damaged teeth untreated. There has even been a link to diseases in the body, such as heart disease, pre term labor, obesity, and osteoporosis, which is caused from untreated tooth decay that has lead to gum disease.